Energizer spreads Positivenergy by lighting up poor communities with OML Phils. Energizer, makers of the world’s longest lasting batteries, together with One Million Lights (OML) Philippines, the local chapter of the global California-based OML non-profit organization, launched a unique project that aims to raise awareness of the need for safe, healthy, and efficient lighting systems all over the country. This partnership is an off-shoot of the Energizer Global Night Race event with the theme: “Race for a Brighter World” – a series of night races taking place around the globe to raise awareness for the need for clean and healthy lighting in communities without access to electricity. It’s the first global celebration of the new Energizer platform called That’s Positivenergy, which combines performance plus responsibility and demonstrates Energizer’s long-standing commitment to responsible power and serving the community. 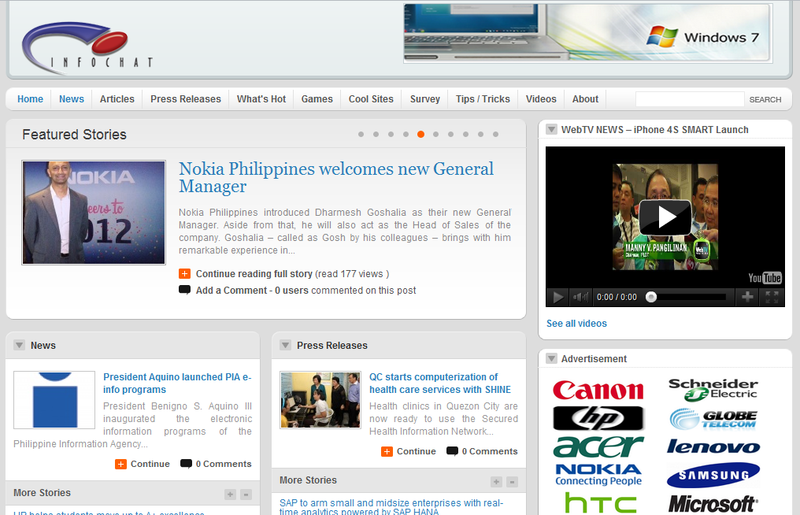 Infochat has a new website (www.infochat.com.ph) and we invite you to visit us there. We also invite you to check MagPortal.net, an online magazine hub that offers access to leading magazines in digital format. Please know that this blog/site will still be maintained. Thank you for your continued patronage and support! American Standard, one of the leading makers of high-quality bathroom fixtures, recently launched its latest bathroom products in an event attended by key customers at the Hotel Intercontinental in Makati City. Supsup was the guest of honor. “It is a privilege to be invited to this event,” Supup said. “As an aspiring architect myself, I have always regarded American Standard as representative of the fusion of beauty and efficiency. I am very excited to be here tonight.” The event saw the launch of its newest and most innovative bathroom fixtures and designs. “These new product lines represent American Standard’s uncompromising belief in the growing sophistication of the market,” said Noel Tolosa, American Standard marketing manager. “These products are here because of extensive product research into what the consumers want and what they need.” Tolosa added.